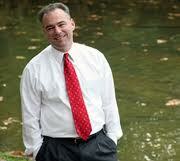 On Tuesday, May 1, The Common Good will host a luncheon discussion from 12:15 – 1:45pm with former Governor Tim Kaine, Virginia’s 70th Governor and current candidate for the U.S. Senate, who remarkably led the state to one of the highest ratings for fiscal management and one of the lowest unemployment rates in the nation. Governor Kaine will share his views with a small gathering over lunch on the critical economic issues in the upcoming election cycle and what changes he believes we should implement to create more jobs and strengthen our economy. 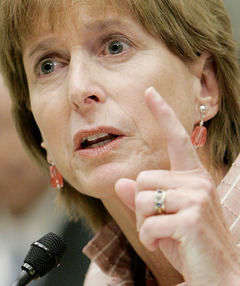 On Thursday, May 10, Governor Christine Todd Whitman, who served as the 50th Governor of New Jersey (R) and head of the Environmental Protection Agency under President George W. Bush, joins The Common Good for a private lunch discussion. Her topic: “Can there be more Reasonable Ground in our Political Process?” How do we handle the increasing partisan unwillingness to find common ground in making national policy? How do we fix the broken political system? Public policy debate and politics grow ever more acrimonious just as we need to find solutions to the looming problems around energy, climate change, job growth and the budget deficit. Governor Whitman will tackle these questions and more. RSVP to rsvp@thecommongoodusa.org or call us at 212-599-7040. Non Members may attend two events before becoming members.